Every year, billions of dollars and made by companies that are using email marketing to reach their customers and inspire them to take action. Last year, there were more than 838 billion marketings message sent out, according to Forrester. However, everyone knows from personal experience that of the deluge of mail a person receives everyday, only a few of these seem worthy of opening and reading. Making an email marketing message that stands out to the consumer isn’t a matter of luck. There are specific data-based strategic and tactics that can help email marketers. 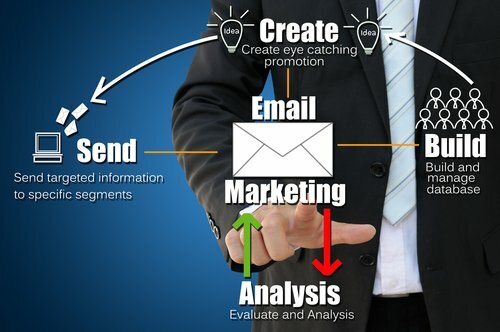 Here are three tips for improving email marketing in 2014. A simple trick to improve the response rate of email marketing campaigns is to include personalized data. When people fill in the opt-in form, they usually leave a name that can be used in the greetings and subject lines of emails, depending on the email marketing program being used. Marketers often discount the usefulness of this tactic because they aren’t moved by it (after all, they know it’s just a computer program). However, the data shows that the average American consumer likes to see their name on emails. According to findings from Experian Marketing Services, personalized promotional emails lifted transaction rates and revenue per email to six times higher than non-personalized emails.The study also showed that personalized subject lines delivered 26 percent higher unique open rates overall. The benefit of personalization is also seen with promotions and specials. A message that makes the person feel that they are getting a special that’s just for them increases their likelihood of opening and reading the contents of the email. The Experian report found that personalized promotional mailings had 29 percent higher unique open rates and 41 percent higher unique click rates. For triggered email campaigns, personalization resulted in double the transaction rates compared to non-personalized triggered emails. Another simple thing that marketers can do to improve the email campaigns is to ensure their content is viewable on mobile devices. Most email marketing programs allow users to create very beautiful emails with all kinds of bells and whistles. But since most people are viewing their emails on mobile devices, if the email isn’t mobile optimized, many people will be turned away before they get a chance to see the content. According to the Moveable Ink US Consumer Device Preference Report for Q4 2013, 65 percent of marketing emails were opened on mobile devices during the last quarter of 2013. Additionally, Return Path points out that 63% of US consumers delete emails immediately if they are not optimized for mobile. With so much on the line, it’s important to put mobile optimization first when designing emails. Building an opt-in mailing list can be difficult so it’s imperative that marketers take every opportunity to grow their mailing list and to increase the reach of email marketing content. One easy way to do this is to enable social sharing buttons on the email. This gives the reader, a lot more options for sending the content to friends than just forwarding the email. In the age of social media, this is far more helpful than people may immediately think. Most people talk to their friends and family through social media and may not know the email addresses for many of the people who they think would benefit from the information in the email. Adding social sharing buttons can exponentially increase the range of the content. And so long as the content itself has a link for opting-in, many of the people who find the content socially will sign up on their own for future updates. Email marketing remains a valuable tool that marketers should use to reach audiences and communicate with their fanbase. However, with so many other marketers trying to reach people with email, it’s necessary that business owners use every advantage they can think of it so their email stands out and gets clicked. Use the three tricks above to make emails that are opened, clicked, and shared.